I’d firstly like to say thank you to Fiona Cummins for approaching me via twitter with the offer of a proof copy of this book. I had read, loved and reviewed Rattle here and so was thrilled and excited to be getting my grubby mitts on this, Fiona’s second book. I must admit I was a little nervous about reading this sequel/follow-up book as there’s always the fear that you won’t love it *quite* as much as the original. However in this case my fears were misplaced because I loved it every bit as much as Rattle if not more so. 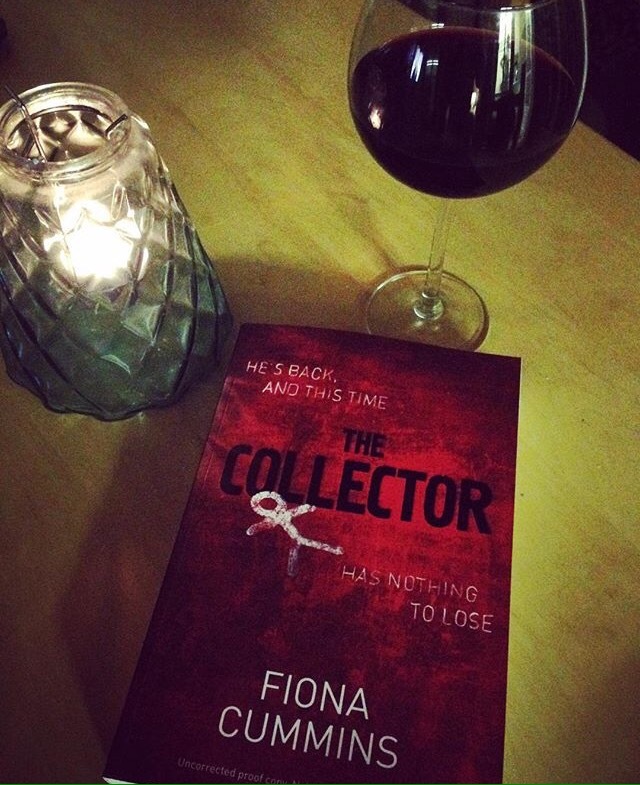 I’ll start by saying that I would definitely recommend reading Rattle before reading The Collector. It just gives you a more satisfying reading experience to know what events have happened previously, plus you get to know the characters, the majority of which appear in The Collector. The story picks up a little while after the last one left off, which makes sense! We follow The Collector (Ol Bloody Bones, The Night Man, The Bone Collector, all derivatives of his name) now ‘Mr Silver’ and his various plans and schemes to expand his macabre museum. The Frith family appear again as do the Foyle’s and police officer Etta Fitzroy, but we are introduced in this story to new characters Saul and his mother, and the role that Mr Silver has planned for Saul. This book is every bit as fast paced as Rattle, gripping, thrilling, edge of seat stuff. The phrase ‘I couldn’t put it down’ often gets bandied about but it couldn’t be more appropriate in this case as I literally WAS NOT going to sleep until I’d finished it! At times this story is hard hitting and grim. There is blood and gore and talk of death and decay so you need somewhat of a strong constitution! but it’s not gratuitous gore for shock value, it adds such depth, detail and atmosphere to the story. At times my heart was pounding in my chest, real moments where you want to shout at the characters and warn them of imminent danger….but of course I couldn’t do this whilst on the bus to work…..it’s frowned upon. One of the elements I really enjoyed in The Collector was that we got to briefly travel back in time to see more of how The Collector started out, events in his childhood and his relationship with his parents. I love a story that flits back and forth along a timeline and I really did enjoy the chapters devoted to his mothers story and his childhood. This story is told in short snappy chapters which mean you rattle through the book (see what I did there?…) at such a pace. Perfect for a thriller like this. As I said, my heart was pounding, especially as we approached the climax which was nothing short of amazing. Wonderful story, marvelous characters. Superb. Look out for it next year, it’s going to get people talking! I didn’t intend on writing a review of this book, I’m not sure why really other than I have seen it talked about and reviewed and didn’t want to keep going over what other people have already said. However, having now read this wonderful book I felt the need to just get a few words down about it. It’s one of those great books where you finish it, close the book, look around and think…’right I need to talk about this’. So talk about it (only a little) I shall! This was a library loan which as I’ve said, I’d heard great reviews of on Booktube. Interestingly I’ve since looked at reviews on Amazon and Goodreads and they are distinctly hit and miss which surprises me, but I suppose it’s all down to individual tastes at the end of the day. 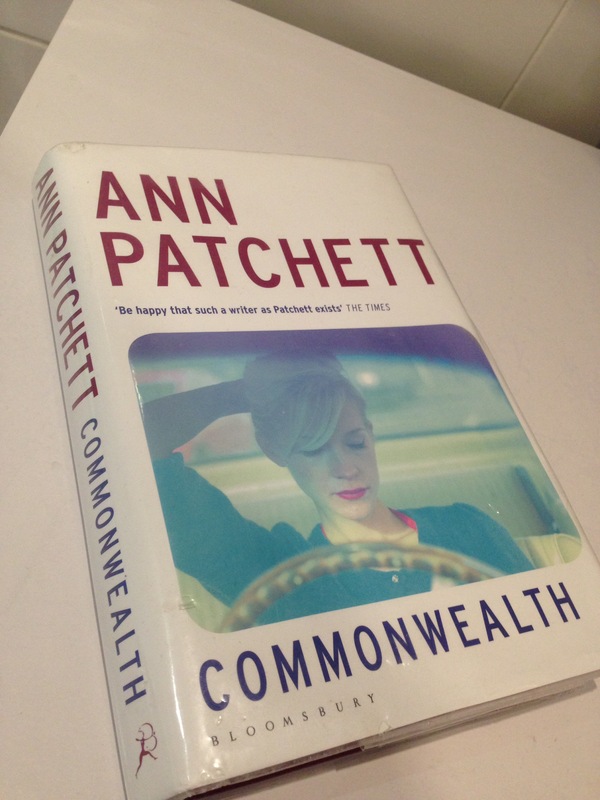 I must also mention that this was my first Ann Patchett novel but by no means my last. It is a great family saga spanning several decades. It starts with Fix and Beverly Keating’s christening party for their young baby daughter Francis. Albert Cousins, a beleaguered, somewhat disillusioned District Attorney shows up to the party, large bottle of gin in hand, unexpectedly. Based on the vague ‘friend of a friend’ loose invitation and in the absence of anything else to do besides help out at home with his 3 children (and one on the way), Albert decides the party is a much more appealing prospect. It is at this party that one small act changes the course of two families lives irreparably and with wide reaching consequences. Albert shares a somewhat drunken kiss with Fix’s wife Beverly and from then on we follow the story of the two, now broken families and their struggles to remain connected for the sake of the 6 children involved, albeit very disjointedly. We follow most, but not all of the story through Francis’ eyes, from her childhood growing up with her sister and step siblings, various holidays and summers spent together and the knock on effect of their fractured relationships with their parents/step-parents. As I said earlier it is a great family saga, and I was intrigued to find out what happened to the various characters be it a central character or a ‘bit part’ player. This story explores infidelity, parenthood, family connections and longstanding family secrets. At times this story tugged at the heartstrings, particularly in later chapters when Fix is elderly and sick. I loved the fact that the story spanned decades and was always moving forward with glimpses back at certain events in the past. Some sections were incredibly detailed and emotive. I thoroughly enjoyed this book and would definitely recommend it. I can’t wait to read more of Ann Patchett’s work. When I read the blurb on this book via Netgalley, I knew I had to request it because it sounded right up my street. 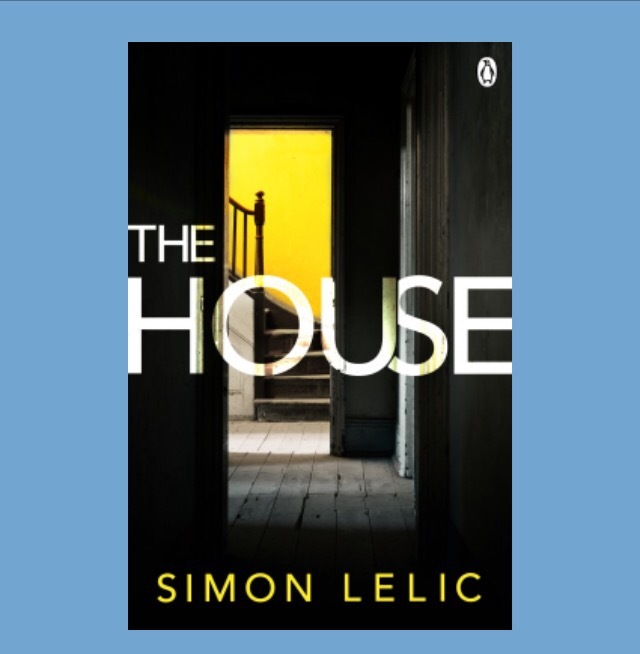 I’ve made no secret of the fact that I love a book based around a house, especially if they are sinister or creepy in some way and this one definitely sounded just that. Now, based on the premise I was expecting something a little different than what I actually ended up reading, but in a good way. I think I initially expected more of a supernatural element and I’m not sure why. What I got was a twisty turny crime/psychological thriller which surprised me at every turn and kept on surprising me throughout. So what’s the story? Well, we start by meeting young married couple Sydney and Jack who are at an open viewing of a house. The house itself is portrayed as being quite unusual, filled with the previous owners artifacts and belongings which were left behind when the owner left fairly quickly. Jack and Sydney end up purchasing the house and events unfold from there. The story is told via both Jack and Sydney’s points of view and the idea is that the story is a document they are producing to keep track of the various events and happenings at the house in order to show somebody some evidence of what’s been occurring should they need to. I must admit that at first I didn’t like this writing style. I enjoy a dual narrative but Jack and Sydney seemed to communicate to each other via this ‘manuscript’ they were writing, each picking the other up on things they’d said in the previous section. Luckily, this only continued for a few pages at the start and then fell back into a normal dual/split narrative with them each telling the story of events from their point of view. This story in the main focuses on Sydney’s troubled abusive past with her father, and her current relationship with Jack which is tested to it’s limits. Sydney also gets involved with a young girl living across the street from her who is pretty much living the same troubled childhood as Sydney did. As I said earlier, I didn’t expect some of the twists, and I enjoyed the little cliff hanger sentences at the end of some of the sections which you then had to wait until that person spoke again to pick up where they left off and explain what they meant! It is not by any means an easy read in terms of content, there are lots of examples of abusive situations, both physical and psychological but I don’t think it in anyway sensationalised the subject. It wasn’t just thrown in for shock value and at times there were parts of the story and exchanges between Jack and Syd that were quite amusing (without taking away from the serious central storyline). There is an overall sinister vibe running through this story and some of the little happenings in the house build on this. Ultimately I enjoyed this book despite taking a little while to get into the story and writing style. If psychological thrillers are your bag then I would definitely recommend this one. This was a solid 3 star read for me.